Mobile World Congress 2016 is a venue to launch new products for mobile companies and Japanese based company Sony was equally not left behind. The company presented three brand new phones but this time, things were not as usual. Instead of the renowned Xperia Z line of smartphones, Sony introduced a new series of devices marked Xperia X. The new models are Sony Xperia X Performance, the Xperia X, and Xperia XA. The devices are similar in design – curved 2.5D glass sheets display with rounded continuous frames on the front panels. This series will be available in different colors which include Lime Gold, Graphic Black, White and Rose Gold. However, their internal specifications vary from one to the other. This means the three models fall in different market sections so the need to look at their differences. Here is a comparison of the new Sony Xperia lineup. Sony Xperia X Performance is the most powerful of the three smartphones. It weighs 164.4g and measures 144.8 by 71.1 by 7.6 mm. The device is powered by Qualcomm Snapdragon 820 SoC-Qualcomm’s latest and greatest, four Kryo cores, two of which clock up to 2.15 GHz while the other pair operates at a frequency of up to 1.6 GHz. It has 3GB RAM and an internal storage of 32GB, which can also be expanded through Micro SD. Sony went for a 5-inch TRILUMINOUS display with a decent resolution of 1920 by 1080. It also possesses a comparatively large battery of 2,700mAh. The model has powerful rear and front cameras. The rear-facing unit has 23-megapixel with a 1/2.3” Exmor RS sensor. This camera lets you choose a target and tracks it (Sports Sony’s Predictive Hybrid Autofocus) while the front camera sports 13-megapixel. Unlike the other two, Sony Xperia X performance is waterproof with an IP68 rating. The power button uses fingerprint reading technology. This device also features stereo speakers outside while the inside is Hi-Res Audio and DNC. Xperia X is the next smartphone in the line. It features between X Performance and the XA in terms of functionality. The model is powered by Snapdragon 650 chipset and runs Android 6.0 Marshmallow with a hexacore configuration, four Cortex-A53 of which a pair is clocking at 1.4 GHz. The new model also sports a 5-inch TRILUMINOUS 1920 by 1080 display, 3GB RAM, expandable 32GB internal storage, a back camera of 23 MP and a front unit of 13MP. The primary unit can record 4k videos and the phone’s battery capacity of 2,620mAh can last for two days. Sony Xperia X weighs 153 grams and measures 142.7 by 69.4 by 7.9 mm. The power button on this handset has a fingerprint reader, just like in the X Performance. The last and the cheapest handset in the series, Xperia XA has a 5-inch edge-to-edge display with 1280 by 720 pixels resolution. The device runs on a Media Tek SoC, has a 2 GB RAM with a Mali-T860 MP2 GPU and will launch with Marshmallow. The model has the least memory of 16 GB that can also be expanded via a memory card. The primary camera sports a 13 MP Exmor RS 1/3” sensor while the front unit is 8MP. Xperia XA has a 2,300 mAh battery capacity. This model does not have a fingerprint reader; neither does it sport stereo speakers. Lastly, the handset measures 143.6 by 66.8 by7.9 mm and weighs 137.4g. 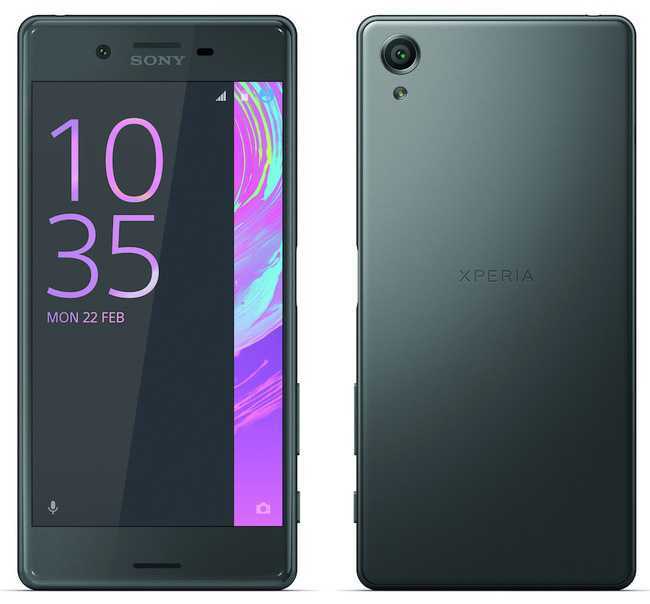 The Japanese company has not mentioned anything to do with either the availability or the price for its newest line of Xperia smartphones. However, the launch will be sometime starting this summer.